Looking for a new car that’s stylish, versatile and unique? Browse the new Suzuki vehicles available for sale now at Inland City Suzuki. Built with quality materials for safety and durability, our cars not only look great, they are equipped to handle all sorts of driving needs. 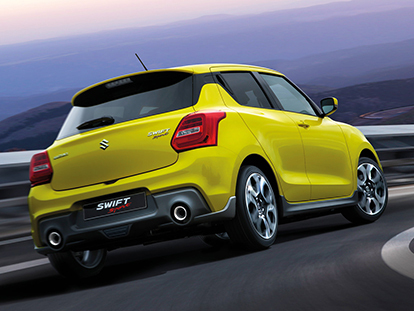 From the exciting performance of the new Swift to the innovative design of the Ignis, our Suzuki cars are sure to impress. In addition, all new Suzuki sold from our Wagga Wagga dealership come with 5 years of capped price Car Servicing and a 3 year/100,000km new car warranty as standard. Browse our range of new Suzuki cars available for sale. If you would like to arrange a test drive, don’t hesitate to Contact the team at Inland City Suzuki today!